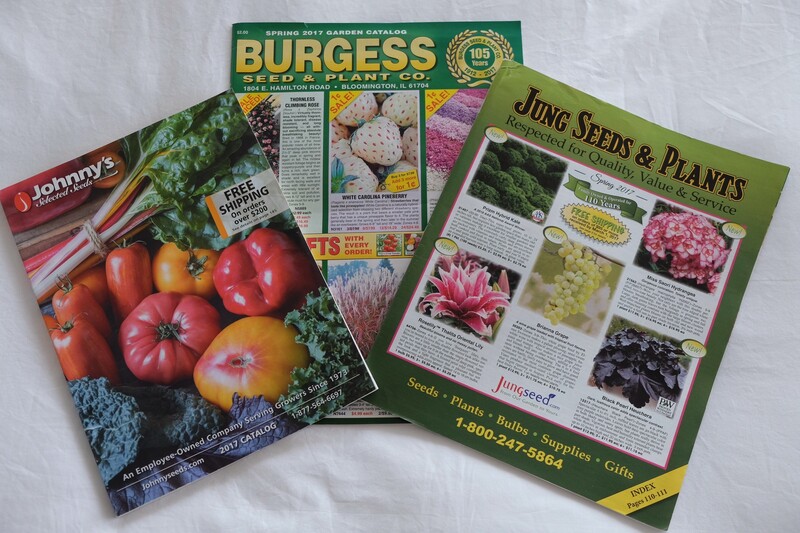 Methodically, I leaf through the catalogs, admiring the dazzling pictures of Madam Butterfly Snapdragons, Creamy Yellow Dahlias, Carmine Rose Zinnias as well as scrumptious photos of Super Hot Red Rocket Crimson Red Peppers, Orange Smoothie Pumpkins, Big Beef Tomatoes. This is the time of year when I agonize over whether spring will ever come, although the poet Shelley reminds me, “If winter comes can spring be far behind?” I am not sure of the answer until that wonderful day when the 2017 seed catalogs slide into my mailbox. (Yes, I still have a mailbox although I have been told I should do research for spring planting online!) What a consummate pleasure to leaf through the options. Suddenly I feel warm all over, like the Big Smile Sunflower reaching up to the sun. Is this the year I will plant more spaghetti squash and less kale? That is going against the trend and risks being politically incorrect! And potatoes? Should I go underground? What about experimenting with Pak Choi? There is Li Rin Choi, Mei Qing Choi, Win Win Choi. After all, Asia is burgeoning, growing rapidly before our eyes and as a farmer I admire fast growers. Yes, I will go international! Then, the moment comes when I order my seeds and that night I dream of cucumbers twisting their way along the earth, snap peas climbing a wire fence and kale pushing out everything. Kale! Always kale! Too much kale! There is only one seed I do not order: cosmos, even though these pink, white and peppermint stripe flowers are my favorite and I plant them as a border along the tennis court. Therefore, if I am enamored with cosmos, why don’t I reorder? Because I don’t need to! Although planted in clay-like soil, where no other flower desires to grow, these little fellows, once they have crinkled, then dried up, drop their seeds in the ground where, by mid-October, only stray tennis balls may be found. Are they dead? Well, yes, at least for this year but I know that under the surface they are laying plans to emerge in the spring. Year after year the submerged seeds burst forth in sparkling colors—without my help! A suggestion: live like the cosmos. Nurture the hidden spirit and this summer who knows what will blossom, for nature never grows old—it continues to rejuvenate itself, and so will human nature as long as the spirit thrives. February 19, 2017 in Brant Lake. ← REGARDS FROM A LITTLE DRIP!